Square bevelled wall plate, with bevelled polished glass square downward facing lantern, elegantly finished in black with a gold patina. 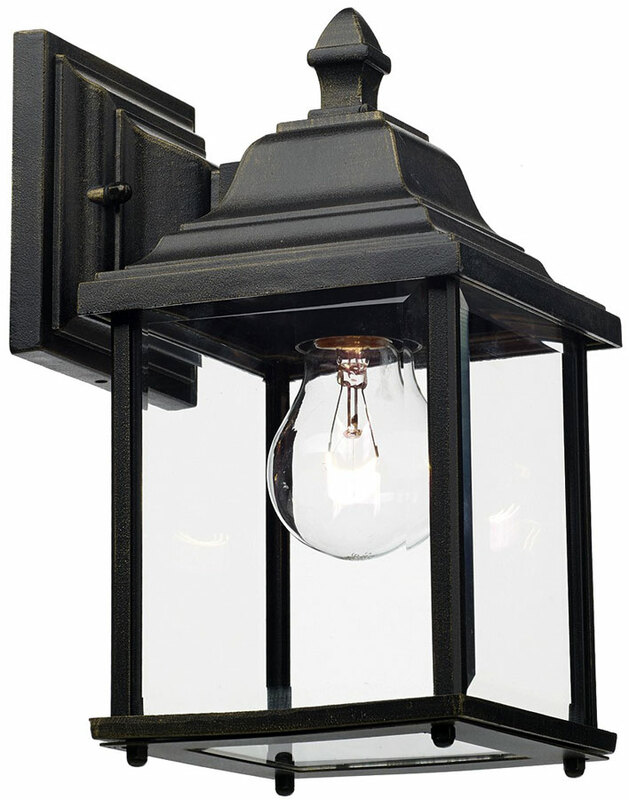 The Doyle, a traditional cast aluminium outdoor wall lantern. Rated IP44 with a 5-year finish guarantee. Class 2 double insulated, no earth required. This fitting will accept an energy saving lamp.